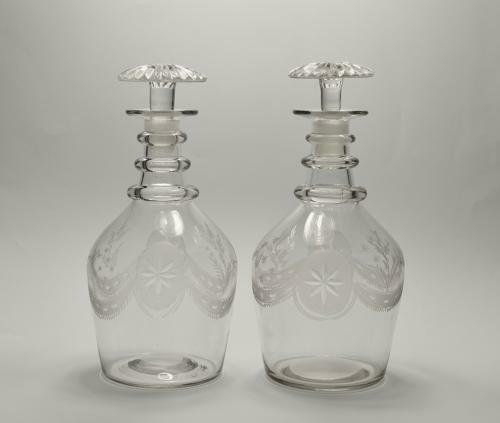 Pair of classic decanters with three neck rings and mushroom stoppers. The body engraved roundels stars and swags. Note: A good clean pair of full size decanters.